How Do You Take a Dose With Your Inhaler? 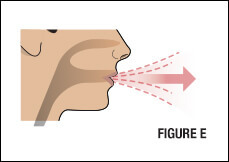 A dose is 1 to 2 inhalations. Shaking and spraying the inhaler are critical. Place mouthpiece in your mouth with your lips closed around the opening. 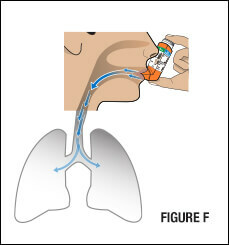 Inhale deeply while pressing down on the center of the spray indicator (top of container) (Figure F). Continue the deep breath. 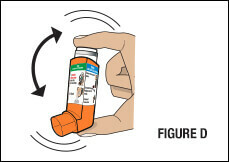 Release finger and remove inhaler from mouth, then exhale slowly. 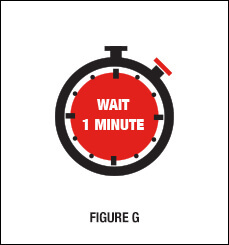 If symptoms are not relieved after at least 1 minute (Figure G), take a second inhalation by repeating steps 2 to 7 above.